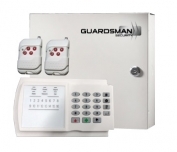 Our 8 zone intruder alarm system features microprocessor to perform as central control unit. Cooperated with wireless remote controllers and all kinds of wireless PIR detectors, our intruder alarm system protects you from theft, robbery, fire, and other emergency situations. 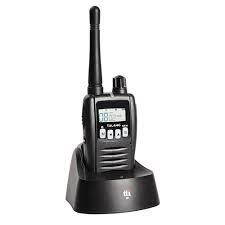 Once the emergency occurs, the intruder alarm system will automatically dial the preset telephone numbers and alarm the wireless siren if connected. 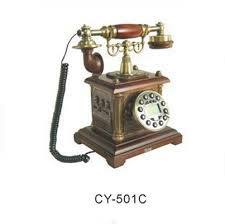 It could also be armed or disarmed remotely by entering the code through the pre-set telephone or mobile phone. Our 8 zone intruder alarm system is compatible with ADEMCO CONTACT ID network. 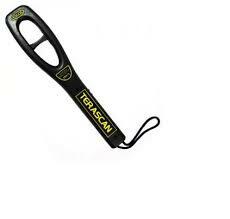 It can learn 24 wireless detectors and 8 remote controllers, as well as the codes. 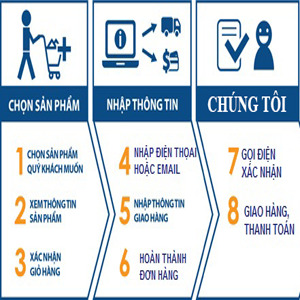 8 groups of telephone numbers can be set and the type of each group can be modified. Moreover, the at home mode and away home mode are optional, while the zone type is also modifiable. To enhance safety, the backup battery will charge automatically and the power supply will automatically switch between AC and battery. Meanwhile, if the power of main unit or detector is low, our intruder alarm system will respond by sound and light, while it will also dial the preset phone number immediately. 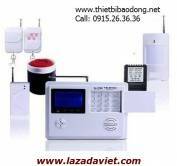 Besides, if telephone line is cut-off or open circuit, or the main unit is being armed, disarmed, etc., our 8 zone intruder alarm system will also report to the alarm center when connected to the network. Finally, if the telephone is busy while the emergency occurs, our system will cut down the conversation and send the alarm message, then the telephone recovers automatically. All the settings are stored inside our alarm system thus if the power is down, the configuration of our alarm system will remain unchanged. 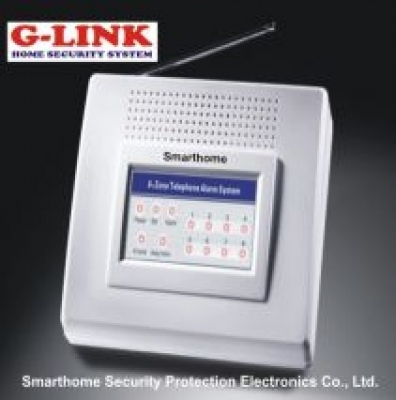 These properties make our alarm system a good choice for family, shop and so on. 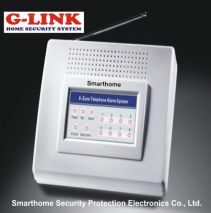 We are an experienced 8 zone intruder alarm system manufacturer in China. We offer a wide variety of products, including alarm keypad, wired outdoor PIR detector, wireless magnetic door sensor, alarm keypad, network intelligent home alarm system, and more.